The race between the deteriorating security situation north of Israel’s border, and the need to complete the border fence, is tightening. 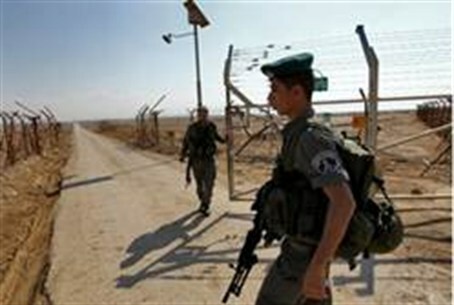 The race between the deteriorating security situation north of Israel’s border, and the need to complete the border fence, is tightening. But the fence and systems are nearly in place. As the raging civil war between loyalists to Syria’s President Bashar al-Assad and various rebel factions continues to spill over into the Golan Heights, workers are moving to replace border installations. Several countries have pulled their troops out of the United Nations peacekeeping force in the Golan demilitarized buffer zone as the situation has become increasingly dangerous, including Austria, which began withdrawal of its troops last week. Elbit Systems’ "MSS Project," as it is called, is costing the Israeli government some NIS 250 million (more than $60 million) and has already been installed along the Gaza border. It’s the first multi-sensor system (hence the "MSS") border defense system in the world based on data fusion, transmitting data to a primary C2 center to be analyzed automatically on the basis of familiarity with the routine activity along the border, and using that information to identify any suspicious indicator that deviates from the routine. Deployment of the system will cut down the need for the dozens of field intelligence operators currently employed as observers. Fewer personnel are required to operate the MSS, and the system absorbs data from the field, even under adverse weather conditions, 24 hours a day. By the end of August, a 37 mile (60 kilometer) stretch will have covered the northern border as well, according to the latest issue of Israel Defense Magazine. By the end of the year, the entire 56 mile (90 kilometer) border that stretches from the Golan Heights to the Mediterranean Sea will be protected by the state-of-the-art cameras, radar systems and observation posts in the system, warning soldiers of any movement.